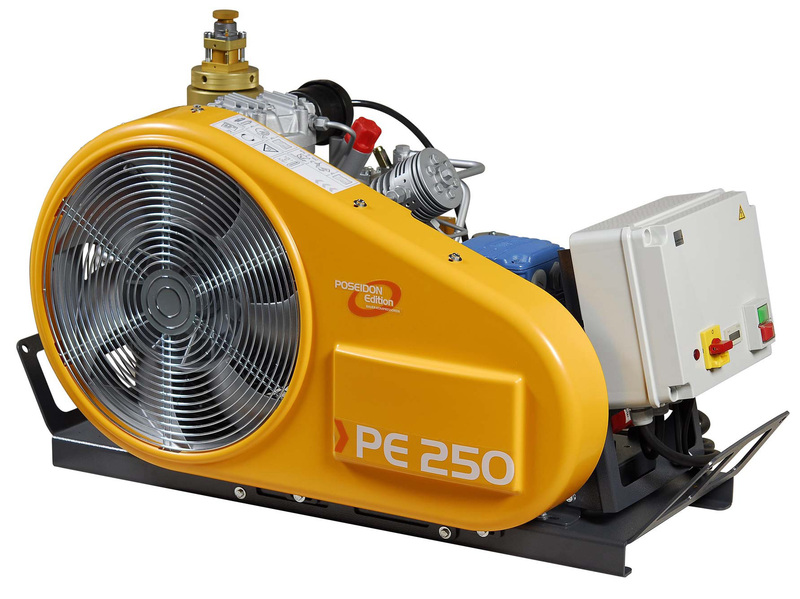 The PE200 / 250 / 300 TE models offer the optimum price vs performance ratio. Due to their compact construction, the units are easy to transport and to load into vehicles. The oil pump allow inclinations up to 15o, making these Bauer Poseidon PE200 / 250 / 300 TE compressors most suitable for use on board of ships.